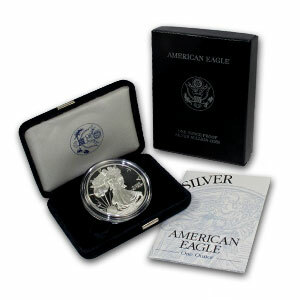 The American Silver Eagle is one of the most widely recognized and respected coins in the world today. Silver Eagles come in various forms. These forms are bullion and proof coins, as well as uncirculated and certified versions. Silver eagles have an interesting and rich history. The coins were originally thought up in order to release a large amount of silver to the public. 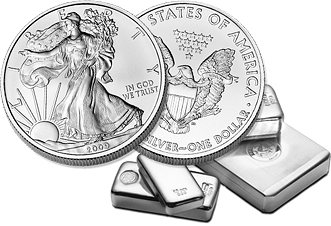 Since 2000, the amount of Silver Eagles produced by the U.S. Mint has increased consistently. 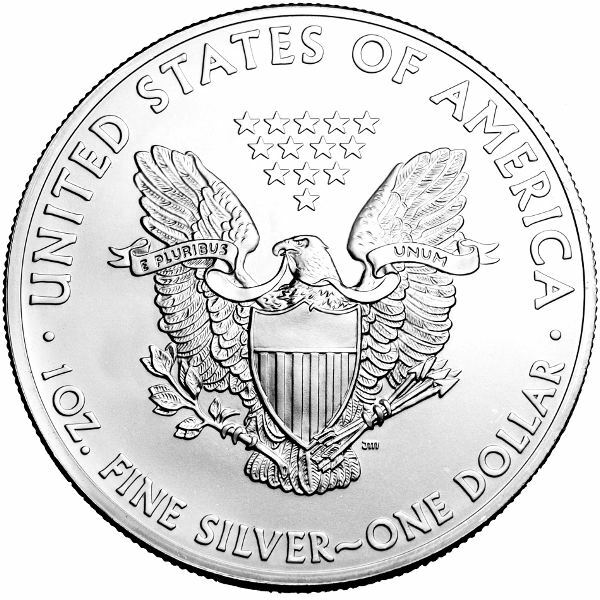 While during the 1980s the mint would produce 5 to 10 million Silver Eagles per year, by 2008 the mint produced 20 million Silver Eagles, in 2009 they produced 30 million Silver Eagles and in 2010 the mint made 34 million Silver Eagles. The last several years have seen turbulence in global markets. These issues include but are not limited to the U.S. housing and mortgage crises, The European Union sovereign debt crises and several other issues. This economic uncertainty has likely helped drive demand for American Silver Eagles and other forms of bullion. American Silver Eagles carry a face value of $1 and are good, legal tender. Most American Silver Eagles bought are the uncirculated type. Silver Eagles contain 1 troy ounce of .999 percent fine silver. Though the BU bullion version tends to be the most common, there are also many variations of the coin. Brilliantly Uncirculated (BU) means that the coin has come directly from the mint in sealed packaging and has never been used as currency. Thus, the coin has had little to no contact with human hands. These uncirculated Silver Eagle coins carry a relatively small premium over the spot silver price also adding to their popularity. 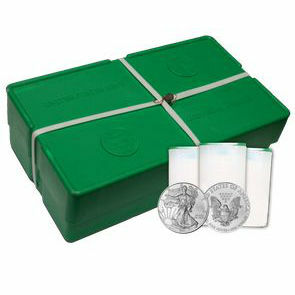 Silver Eagles can often sell for less than $2.50 over the spot silver price. Silver Eagle proofs are a bit different. These proof coins are struck multiple times giving the coin a very shiny luster. 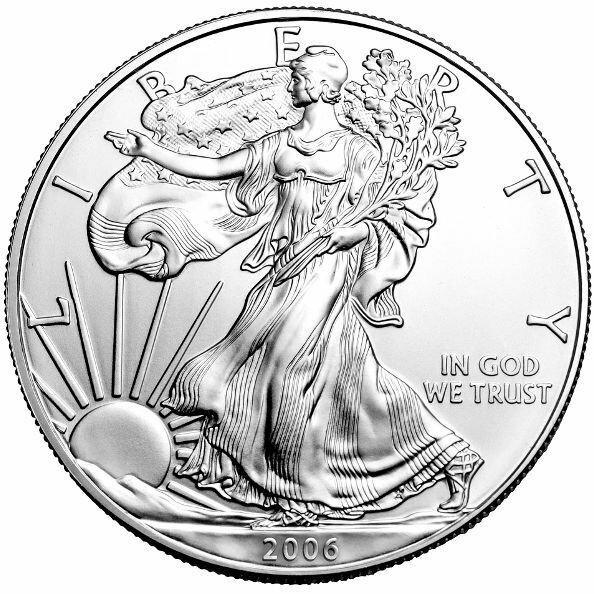 Proof coins, because they are considered to be more collectible, carry significantly higher premiums than uncirculated silver eagles. In fact, it is not uncommon for silver eagle proofs to sell for $40 or more over the current spot silver price. 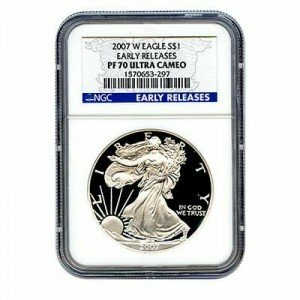 Certified silver eagles are silver eagles that have been handled or circulated but have been sent in to a grading company to be certified. The grading process assigns a grade to the coin based on multiple factors including scarcity, condition and more. The grading company certifies the authenticity and grade of the coin and then sends the coins back out. These certified coins, like proof coins, are considered more collectible and thus carry higher premiums over the spot silver price. Aside from the fact that it has been physically produced by a reputable source, the US Mint, the coin is also admired because of the care that has gone into creating its design and transferring that onto a fine silver bullion coin. The designs found on both the obverse and reverse of the coin are looked at as symbolic representations of liberty, freedom and patriotism. Aside from purchasing single coins, there are a few other options available to investors and collectors. After striking these coins at their facility, the US Mint packages them into tubes or rolls of 20 coins. These rolls are then placed into boxes (also known as Monster Boxes) and strapped shut. As to protect the integrity of each coin, when you are ordering quantities of twenty coins, Silver.com will ship them in their original mint-sealed tubes. Quantities of 500 coins will remain in their original mint-strapped Monster Boxes. Aside from protecting and maintaining the integrity of each coin, these two options also allow for easier storage. Tubes can simply be placed atop one another in small spaces for storage, while monster boxes can be piled high. All of Silver.com’s American Eagle coins are acquired from certified coin distributors in their original mint packaging so customers can rest assured of each coins authenticity. Be sure to browse our wide selection of these coins and add some to your collection, or even start a brand new one! To learn more about our company feel free to call us at 1-888-989-7223 or see what our customers are saying by reading some reviews of buying from Silver.com.